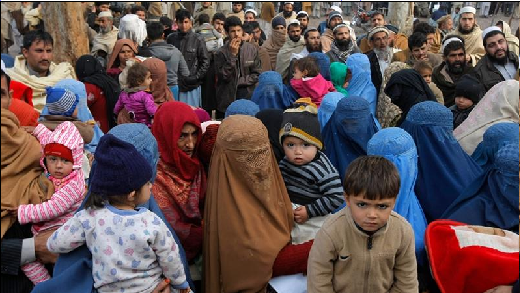 ISLAMABAD: Pakistan and Afghanistan are engaged in developing a time bound repatriation plan for early and complete return of Afghan refugees to their homeland. Foreign Office Spokesperson Dr Muhammad Faisal, while speaking during his weekly news briefing, said an Afghan delegation will soon be visiting Islamabad for consultations in this regard. Responding to a question, the spokesperson rejected as baseless the allegations hurled by Afghan officials that elements from Pakistan were also involved in the recent terror attack in Ghazni. He said there is no evidence to back up the spurious accusations. The spokesman said Pakistan has always supported an Afghan-led peace process and it will welcome any ceasefire agreement between the parties there. To another question, he said India is involved in stoking terrorism in different parts of Pakistan, and the arrest of Kulbushan Yadav is ample evidence in this regard. Strongly condemning Indian brutalities in occupied Kashmir, the spokesperson urged the Indian government to permit the UN commission of inquiry to visit the occupied valley and find facts on the ground. He said Indian is carrying out ceasefire violations on the line of control to divert world attention from its atrocities in occupied Kashmir. He said Pakistan is ready to host the SAARC summit at the earliest so that matters can move forward. He reiterated Pakistan’s support for the people of Turkey in their quest for peace and prosperity, and said Pakistan is opposed to imposition of any unilateral sanctions on any country.